Early clinical trial data for an experimental MyoKardia drug developed to treat a potentially fatal cardiovascular disorder are showing promise, results that now have the company preparing for a larger study to support FDA approval. South San Francisco, CA-based MyoKardia (NASDAQ: MYOK) is testing the drug, mavacamten in patients who have a potentially deadly form of hypertrophic cardiomyopathy (HCM), a thickening of the walls of the heart, particularly the left ventricle. The condition can reduce the amount of blood pumped by the heart, which can cause shortness of breath, irregular heartbeats, and the inability to exercise, according to the American Heart Association. Patients in MyoKardia’s tiny Phase 2 trial have what’s known as obstructive hypertrophic cardiomyophathy, a thickening of the heart walls that blocks blood flow and in some cases, leads to sudden cardiac death. The 10 patients treated with MyoKardia’s drug showed signs of improvement in blood flow—the main goal of the trial—and oxygen uptake, a secondary measure. The data are an early look at a small, open-label study. More details will be presented next month at the annual meeting of the Heart Failure Society of America, and MyoKardia will have to reproduce these results in further tests before it can bring the drug to market. But the positive results sent Myokardia’s stock price soaring up more than 83 percent to $31.45 per share on Monday morning. The company went public in 2015 at $10 per share. The Hypertrophic Cardiomyopathy Association estimates that between 700,000 and 750,000 people in the U.S. have HCM, but it does not have specific figures for obstructive HCM. MyoKardia says the thickening of the heart muscle that characterizes HCM is caused by a genetic mutation that leads the heart to contract excessively. There are no FDA-approved treatments for HCM; patients who have the disorder are typically prescribed drugs that treat hypertension, heart failure, or a class of blood pressure medications called beta blockers. Patients who have an advanced form of the disease may require surgery. Ten of the 11 patients enrolled in MyoKardia’s 12-week trial completed the study. One patient, who stopped taking medication for an irregular heart beat to participate in the trial, stopped taking the test drug at week four after the condition cropped up. MyoKardia said the side effects associated with the drug overall were “mild to moderate,” adding that most of them were found to be unrelated to mavacamten. Mavacamten is meant to treat the the underlying cause of HCM by reducing the contractions that cause the heart’s walls to thicken. On a conference call Monday morning, CEO Tassos Gianakakos said the company plans to meet with the FDA to discuss a larger trial that could support potential approval. The company hopes to start that trial by the end of this year. Gianakakos declined to offer any specifics about the plans for that study, saying those details would be disclosed after meeting with the FDA. MyoKardia is also testing its drug at lower doses in a second group of patients who didn’t have to stop using beta blockers to participate in the study. Marc Semigran, MyoKardia’s chief medical officer, said on the call that mavacamten works differently than beta blockers, so it might complement them as an adjunctive therapy. Initial results from that patient group are expected in the first quarter of 2018. 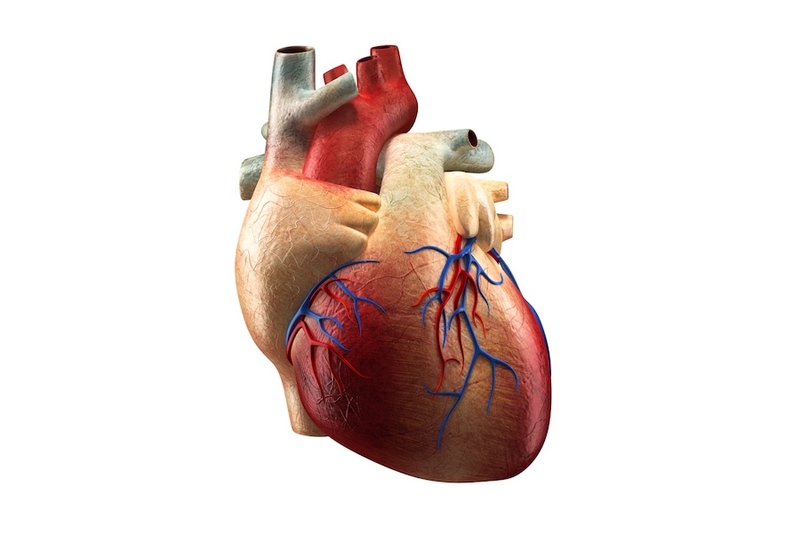 Human heart image by Depositphotos user decade3d.